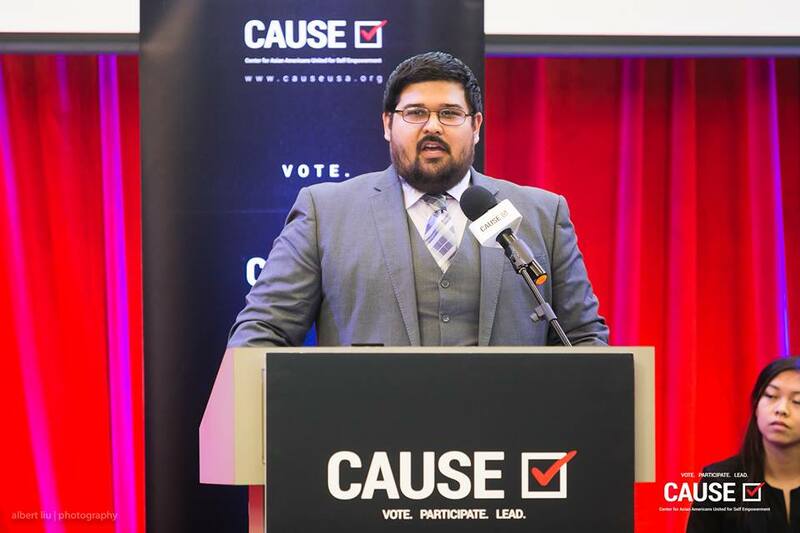 As the Master of Ceremonies, CAUSE Leadership Academy Class of 2014 & 2016 graduate Edwin Saucedo welcomed attending family and community leaders to the event. Now a Jesse M. Unruh Assembly Fellow at the California State Assembly at the Office of Assemblymember Rob Bonta, Edwin expressed his excitement for the incoming class of interns and advised them all to make the most of the opportunity. Executive Director of CAUSE, Kim Yamasaki, introduced the CAUSE Leadership Academy program and gave a brief overview of its history. She referred to her time as a Leadership Academy intern and attributed her own growth as a leader to the program, and hopes that the 2018 class of interns will find it just as rewarding. Next, Board Chair of CAUSE, Charlie Woo, shared his thoughts on the nature of power and how it should be utilized to uplift others in the community. He highlighted the continuous importance of having a seat at the table and ensuring that APA voices are heard. Afterwards, sponsors representatives of the Leadership Academy program were invited to the stage. Tammy Tran, Senior Manager for Community Engagement at Southern California Edison, spoke on Edison’s longtime support of leadership development programs such as the Leadership Academy. She emphasized the importance of developing and growing a leadership pipeline for the APA community and is excited to support the next generation of leaders. Similarly, Rick Eng, National VP Communications at Chinese Americans Citizens Alliance (CACA), showcased his and the CACA’s history of support for the Leadership Academy program. For decades, the CACA has led and been involved in civil rights advocacy and local community development. Their support of the Leadership Academy program is just one of the many ways they continue to uplift and empower Chinese and APA communities in California. 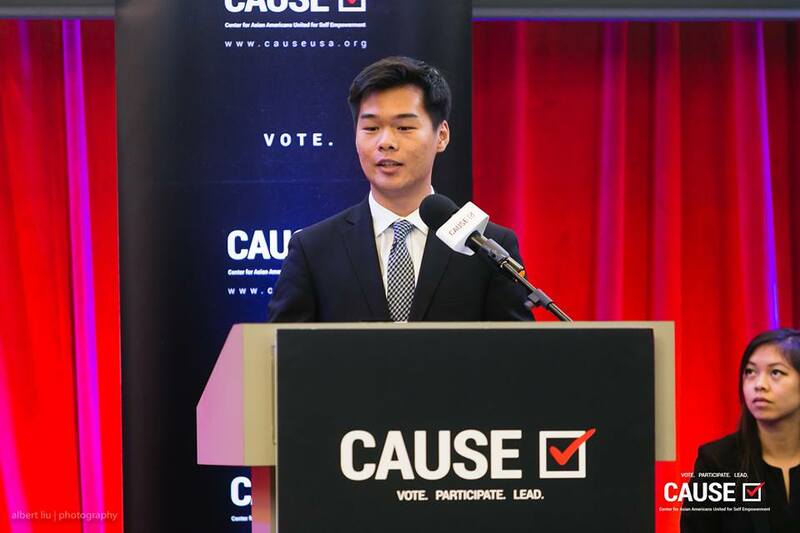 Afterwards, Adam Hsu, Programs Director at CAUSE, further highlighted the details of the program, explaining “It’s more than a full-time job, it’s about building personal relationships with those around us in the community so that we can help each other move forward.” Adam then welcomed each member of the 2018 Leadership Academy class of interns for their self-introductions. Andy will be interning at the Office of County Supervisor Hilda Solis. Benjamin Tran, a graduating senior from the University of California, Irvine, spoke on how he intends to apply his previous internship experience at OCA in Washington D.C. back home to Southern California. He hopes that the Leadership Academy program will teach him new tools and strategies to maximize the involvement of API individuals in elections and community movements. Benjamin will be interning at the Office of State Treasurer John Chiang. 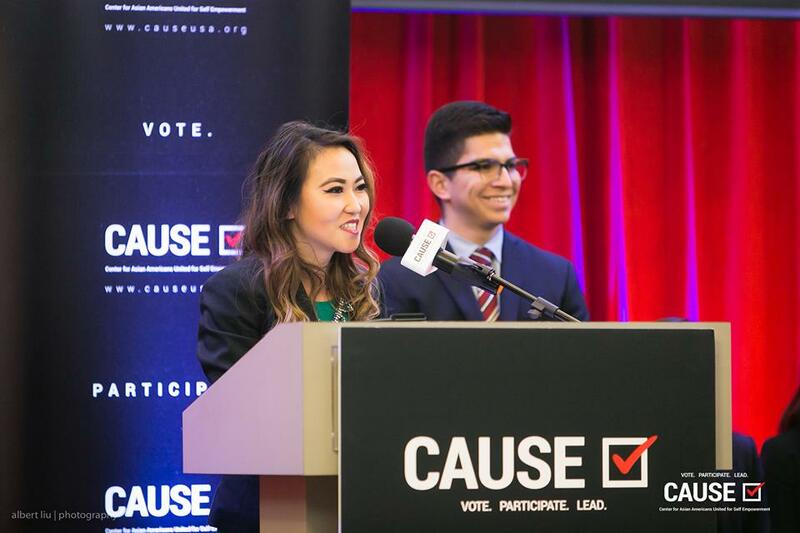 Christine Tran, a rising junior at the University of California, Los Angeles, shared her excitement about being able to work with high school students on the Vote at 16 campaign at her internship placement. She hopes to take the lessons she learns this summer back to her UCLA campus and to her career. Christine will be interning at API Forward Movement. 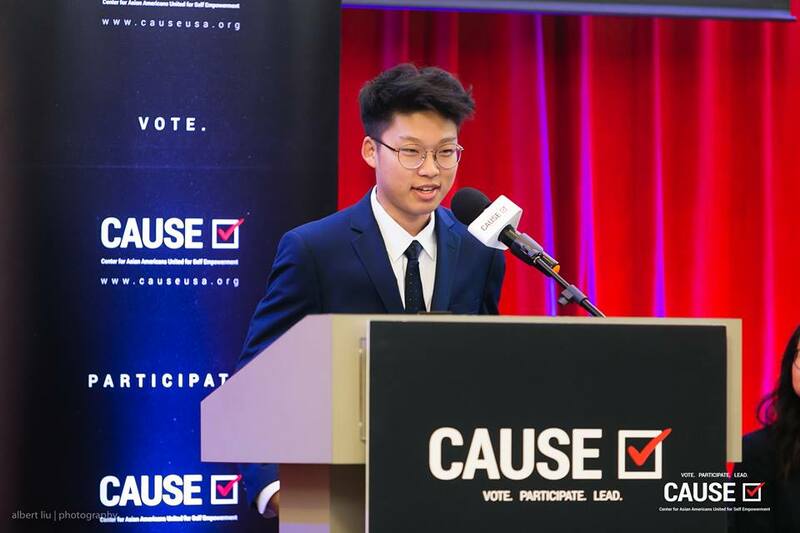 Hesu Song, a rising sophomore at Johns Hopkins University, expressed his interest in CAUSE’s voter engagement initiatives and his hope to address voter apathy. He looks forward to working with the APA community through CAUSE and his office placement. Hesu will be interning at the Office of Congressmember Jimmy Gomez. Jae Jin Lee, a rising Freshman at the University of California, Los Angeles, shared how his parents’ experiences as immigrants made immigration a personal issue that he’s very passionate about. Through his office placement, Jae Jin hopes to gain the invaluable skills needed to better serve his community. Jae Jin will be interning at the Office of Congressmember Judy Chu. Jenny will be interning at Orange County Asian and Pacific Islander Community Alliance (OCAPICA). Jocelyn Chi, a rising sophomore at Santa Clara University, shared her desire to eliminate the stigma surrounding disabilities, especially in the APA community. Through the Leadership Academy, she hopes to learn more about the other issues that affect the community and to make a difference. Jocelyn will be interning at the Office of State Senator Ed Hernandez. Jordan Agricula, a rising junior at Wesleyan University, expressed his excitement for his office placement with Congressmember Grace Napolitano, especially as a U.S. Army veteran who served four-years, and his desire to reconnect with his Filipino heritage. He looks forward to learning more about the history of the APA community and issues they currently face. Jordan will be interning at the Office of Congressmember Grace Napolitano. 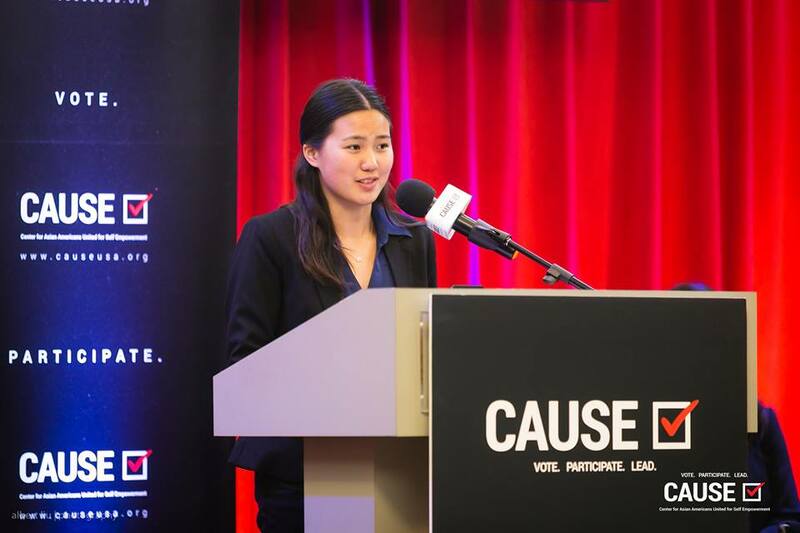 Katherine Hsu, a rising sophomore at the University of Pennsylvania, expressed her interest in the intersection of public policy and law-making. She hopes to be able to work with marginalized communities to help eradicate stereotypes and advocate for more resources, such as education and economic opportunities. Katherine will be interning at the Office of Los Angeles Mayor Eric Garcetti. Leann Pham, a rising senior at the University of California, Los Angeles, is passionate about addressing sexual violence issues on university campuses and in the APA community. She hopes that her internship placement will build on upon her interests in public policy and community advocacy. Leann will be interning at Nakatomi & Associates. Pranett Chhunpen, a graduating senior at California State University, Dominguez Hills, is passionate about assisting developing countries to create policy that would benefit disenfranchised women and children. As the daughter of refugees, she hopes to help raise the standard of living in disadvantaged areas. Through the Leadership Academy, Pranett hopes to gain the skills necessary to achieve her goals and empower the APA community to succeed. Pranett will be interning at Imprenta Communications Group. Yumei Lin, a rising freshman at Tufts University, spoke on the personal importance she found in fighting for APA rights, especially as someone who has lived in the San Gabriel Valley her entire life. She hopes that the Leadership Academy sessions, along with her office placement, will help her turn her passion for social change into visible action. Yumei will be interning at the Office of Assemblymember Miguel Santiago.